High measurement speed, parallel signal processing in multichannel applications, and high reliability in continuous operation are vital requirements to be met by audio analyzers for use in production. If, on top of that, a cost-efficient instrument for system use is what you need, the solution is the R&S®UPP audio analyzer. 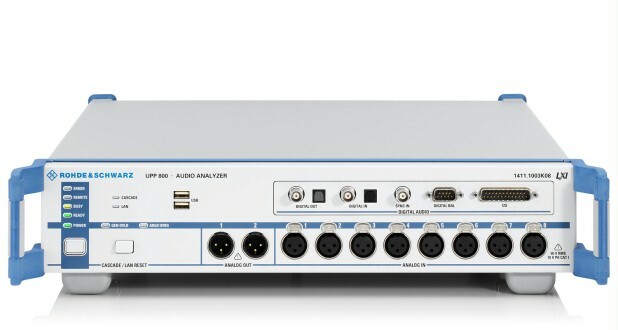 The R&S®UPV audio analyzer – the high-end instrument from Rohde & Schwarz – has held a solid position in all audio T&M applications for years. 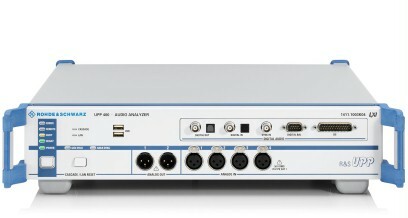 Measurement accuracy and dynamic range at the limits of what is possible, combined with unique measurement capabilities, make the R&S®UPV ideal primarily for research, development and quality assurance tasks. Many audio applications do not place such high requirements on dynamic range and versatility. The emphasis in production is often on high throughput, and the cost of production test assemblies also plays a major role. When testing consumer audio equipment, multichannel devices of surround-sound systems must also be measured using state-of-the-art interfaces such as HDMI. This is where the R&S®UPP audio analyzer family comes into its own. Depending on the model, two, four or eight channels are processed in parallel; and by cascading multiple instruments, users can simultaneously trigger up to 48 measurement channels, which cuts down on measurement time. The compact cost-efficient R&S®UPP audio analyzer is designed for system applications. It features low height, and comes without front-panel control elements or integrated display. The instrument can be remote-controlled via LAN, USB or IEC/IEEE bus. In combination with an external monitor, mouse and keyboard, it becomes a manually operable measuring instrument for a lab bench. It has an integrated control PC, and the required software is already installed. Users can start taking measurements right away. 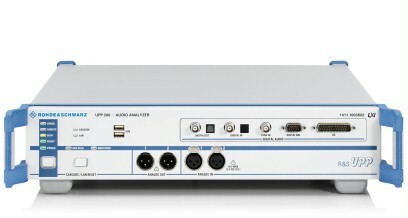 Featuring the same operating philosophy and remote control, the R&S®UPV and R&S®UPP audio analyzers are a strong team: They provide the optimal solution for both R & D and production, respectively, and harmonize well together, for example when instrument settings or measurement routines have to be exchanged.